Illusion has sailed many, many miles since the Honeys repaired the trailing edge of the keel. � 2009 Latitude 38 Publishing Co., Inc.
Stan Honey is one of the three most admired and respected sailors to ever come out of Northern California, and he and wife Sally Lindsay-Honey are also Cal 40 owners. So when he says he has good news for Liz Clark, who discovered a mysterious leak beneath the engine of her Cal 40 Swell, and all other Cal 40 owners, you can rest assured that he knows what he's talking about. 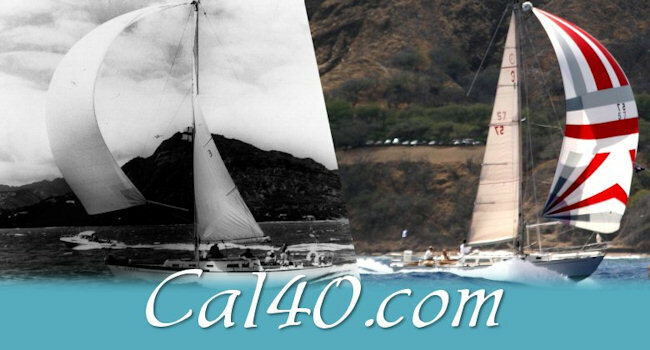 "Sally's and my Cal 40 Illusion, and many other Cal 40s, have had the same leaking problem that Liz is having with Swell. Fortunately, it's an easy repair that does not require removing the engine. Basically, when the Cal 40s were molded, it wasn't possible for the laminators to get much glass into the really skinny part of the trailing edge of the keel just below the hull and above the propeller shaft log. So the boats sometimes develop a weep there. The fix is pretty easy, but has to be done from outside the boat. For the same reason that the original laminators couldn't do a good job from the inside, it still isn't possible to do a good glass job from the inside. The solution is to haul the boat and, from the outside, grind away all of the dicey glass work that is on the trailing edge of the keel above the shaft log until you get to solid laminate. Then you get West System epoxy, roving, and mat, and laminate it back up to the original shape using plenty of roving. As I recall, it's only a two- or three-day job, but as it's structural, it would be good to have somebody do it who is good with glass. The fact that Cal 40s have solid, rather than cored, hulls makes it pretty easy." 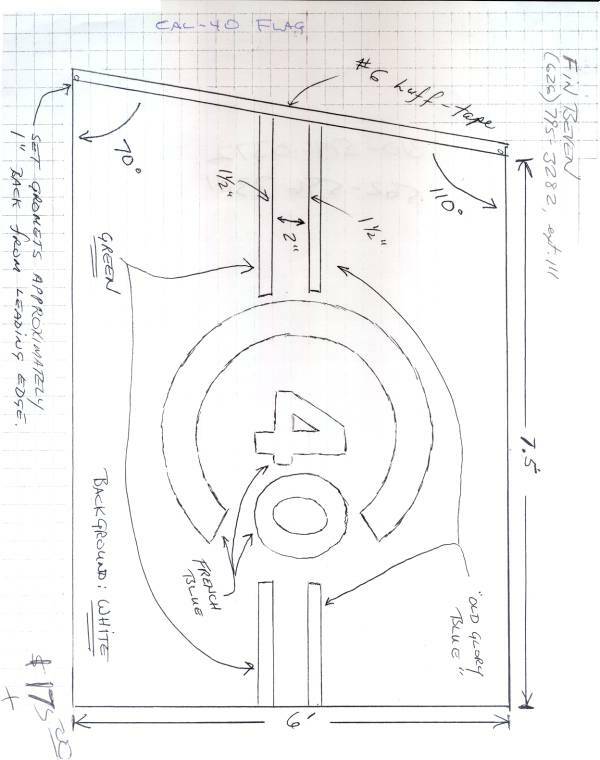 But when we had the engine out last winter for replacement, Doug Grant convinced me to replace the whole tube.� (I should have said ?hole tube?, as that?s what we found when we got it out?lots of holes.� Some the size of a quarter. Next came a heavy brass weight, the "hammer".� Doug used a piece of brass, hex in shape, for no apparent reason, and about 8" long, and bored out the center, so that it could slide along the rod.� Remember, after it's in place, the rod sticks out the back end of the propeller tube about 3'.� The brass weight maybe weighed 15 pounds.� At the very back end of the rod, we simply screwed on a washer and two nuts to act as the stopper. Now the action.� Simply start sliding the weight along the rod and slam it into the stopper nuts.� Do it hard enough, and the tube will move aft, and out of the boat by maybe 1/8" to 1/4".� Do it enough times and the tube will have moved out 1'.� At this point, mine stopped.� Due to some weakness in the bronze, the inboard end started to mushroom.� So, we put some liquid soap on the part that had been exposed at the aft end, and then hammered it back in.� We then used a saws-all to cut 2" off of the inboard end of the tube and then started again. This time it came out much more easily.� With each slam on the slide-hammer the tube jumped out another 1/2 inch until it was out nearly 1/2 of its 3' length.� The last 1/2 simply slid out. It was a very satisfying process, especially as one of our highly regarded local boat builders had suggested that we "simply" cut out the entire section of the hull,� and then rebuild it. It was a good boat day. The ?G-10? replacement tube should last a very long time. Finally, use the tracer lines to pull your wires up through the mast and out at the appropriate place.�� Using the tracer lines may save you from accidentally drilling through a wire while installing the conduit. The drawing is for dimension purposes only.�All colors can be changed to satisfy the owner's particular tastes.